Product code: ES2436 Categories: Sold Items, Sold Jewellery. This antique seal is simply divine! 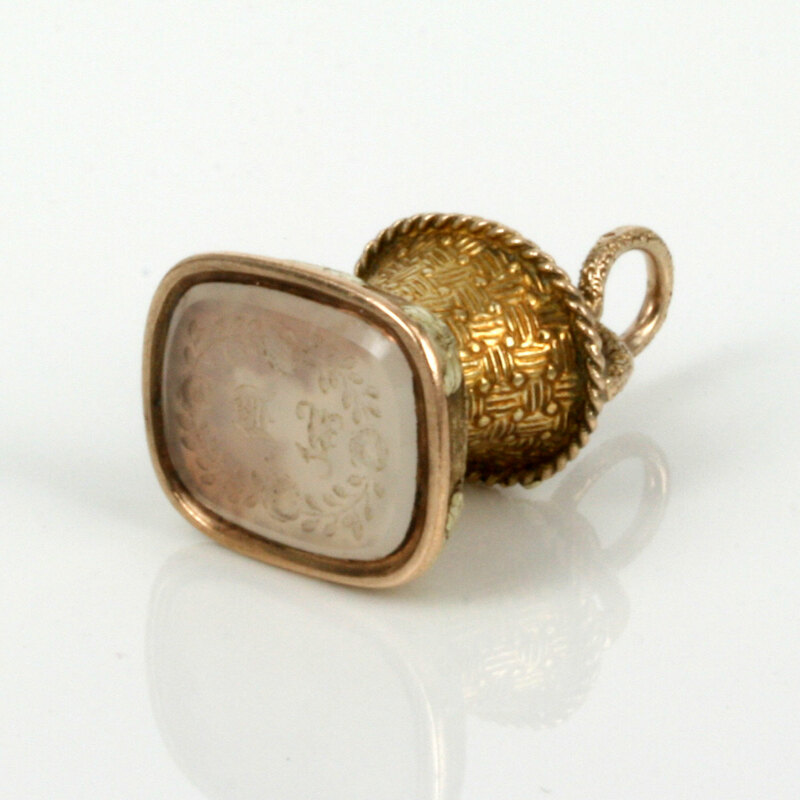 Made in the 1860’s, the seal was made in 18ct yellow gold in the form of a basket and the attention to detail is superb. Since Roman times, after a letter was sealed with wax, the writer would stamp the still warm wax with his or her seal to prevent the wrong person opening the letter. From top to bottom it measures 2.5cm and the base measures 1.6cm by 1.3cm. The base itself is set with a piece of chalcedony that has been expertly carved with the initials that appear to be “LD” in a wonderful old style font which is then surrounded by a floral wreath. The design and history of this seal is just delightful and one that will always be worn with love.